I am a proud member of Team 2016 Wipe, which is broadcast after Christmas. I am a proud member of Team 2015 Wipe, which is broadcast tomorrow. I am a proud member of Team Election Wipe, the fruits of whose labours will be broadcast shortly before the polls open. Update 6 Jan: And the second series of Weekly Wipe begins on Thu 9 Jan on BBC Two. 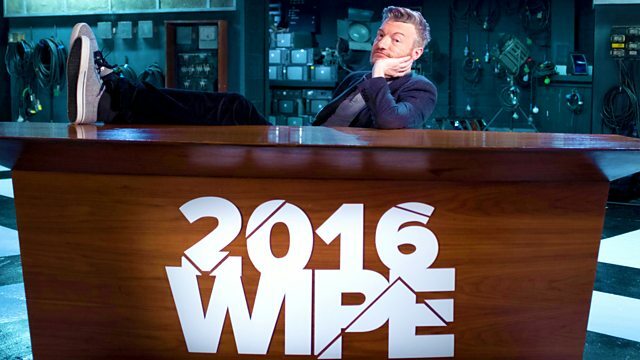 I am a proud member of Team Weekly Wipe, which starts on BBC Two on Thursday evening at 22h00.